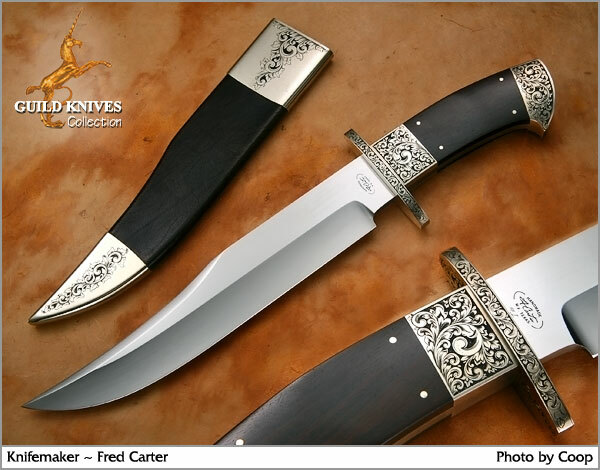 Master Knifemaker, Fred Carter, is the sole author of this Classic Bowie. When held in your hand, it radiates the extent of its power. Doctor Carter (PhD in Entomology) has influenced Art Knife design for 25 years. This heirloom Bowie, made several years, ago is profusely engraved even on the sheathâ€™s furnishings. Youâ€™ll cherish this Classic Bowie for years to come.